So, St. Patrick’s Day 2012 has come and gone. A belated Happy St. Patrick’s Day to you all. 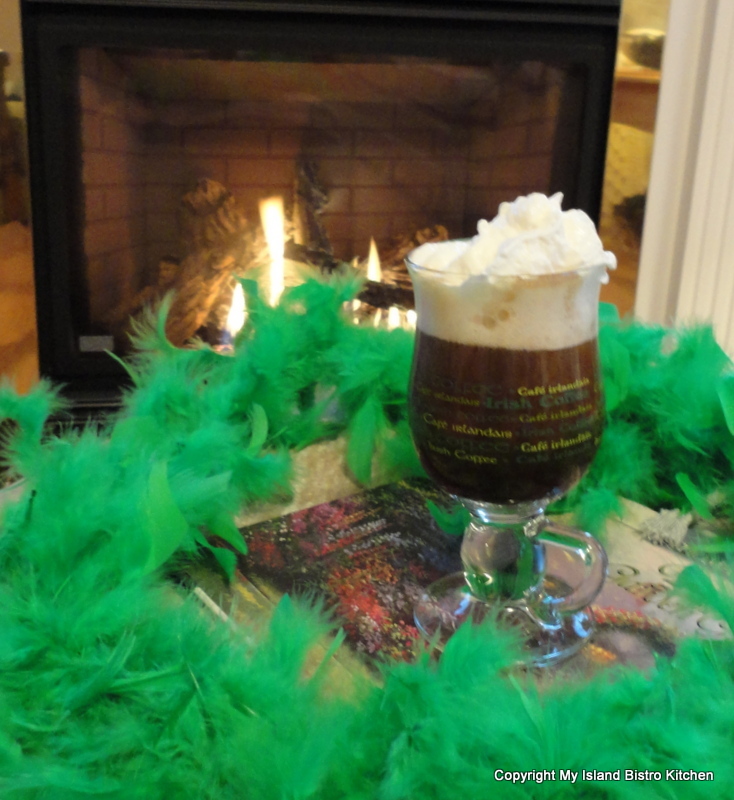 We are all a wee bit Irish on March 17th, aren’t we – either Irish by heritage or Irish at heart! My St. Patrick’s Day Menu this year consisted of Prince Edward Island Blue Mussels steamed in Guinness, herbs, and vegetables and served with Cows Creamery Sea-Salted butter, melted; Spirited Irish Stew served with Irish Soda Bread; Irish Cream Cheesecake; and Irish Coffee as an after-dinner drink in front of a cozy fireplace. PEI cultivates great mussels. Local supermarkets sell them bulk by the pound which is good because I am the only one in the household that likes them. The key to steaming mussels is to use very little liquid and steam them just until their shells open. If you use too much liquid, it will dilute the flavour of the mussels and they will have a very bland taste. I have steamed these shellfish in water, beer, and in wine in the past. However, the Guinness I used yesterday, along with the vegetables and herbs, made the mussels a very rich and delightful treat. The mussels were infused with the Guinness and herbs but not so much that the seafood taste of these tasty morsels was lost. Add 9-10 oz. PEI mussels (about 15). Cover pot. Reduce heat to medium. Steam approximately 3-5 minutes or until shells are open. 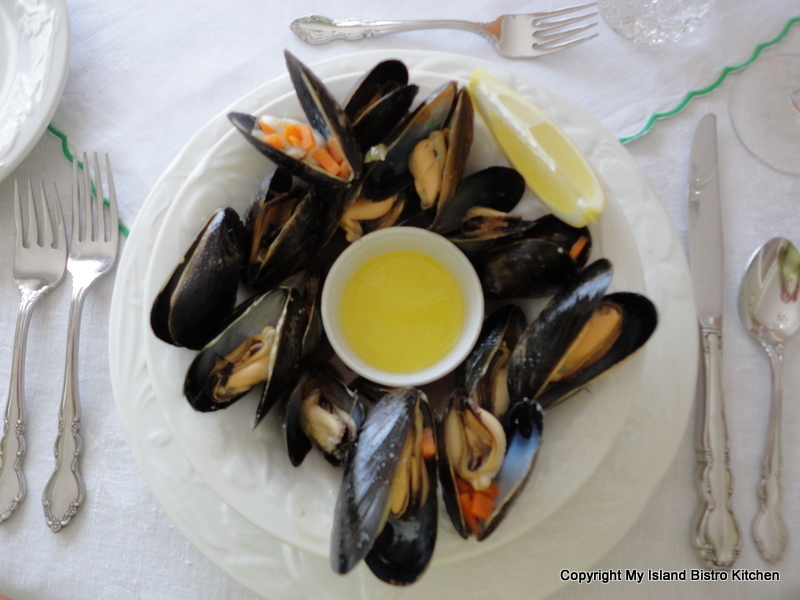 Using slotted spoon, remove mussels from liquid and transfer to plate, discarding any unopened shells. Serve with melted butter. According to legend, traditional Irish Stew was made with cheap cuts of mutton or lamb and basic root vegetables like carrots, potatoes, onions, and turnips. Years ago, these would have been ingredients that were, no doubt, simply what would have been available in Ireland where sheep were raised for their wool and for food and, before the potato famine, potatoes were a primary Irish crop. Over the years, Irish Stew recipes have changed according to the locale and what was available in the cook’s local area. For example, beef is often used in North America today instead of lamb in Irish Stew and other ingredients are added to make a more flavourful, hearty stew as opposed to a broth-like dish. Purists might argue that these changes result in a new stew recipe altogether and is something entirely different than the original Irish Stew. 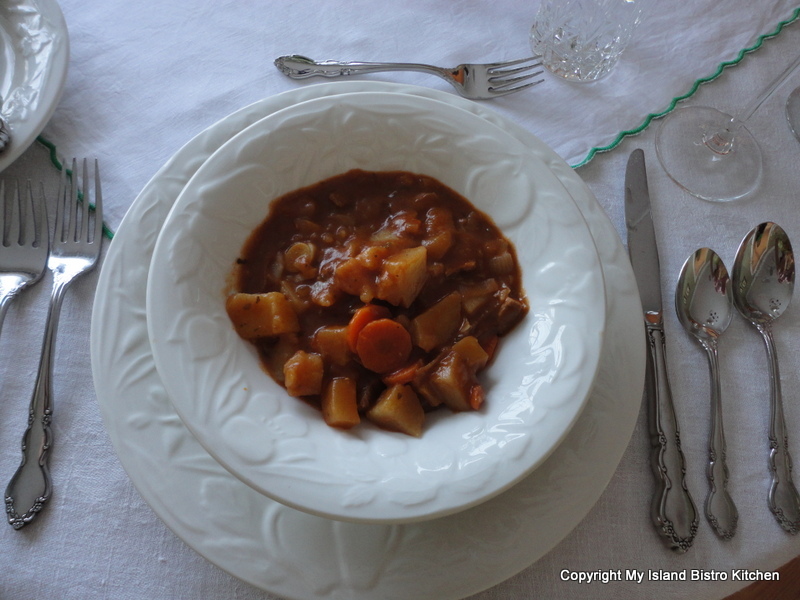 Regardless what it is called, I like my version of a Spirited Irish Stew. It has a nice rich, robust flavour and a splendid reddish-brown color that comes from the addition of tomato paste. Using Guinness and red wine helps to tenderize the meat and also adds to the flavour of the stew. I don’t add huge amounts of either as the intent is not to “drown” the natural flavours of the beef and veggies but rather to blend and enhance flavours. The nice thing about Irish Stew (once you have all the veggies cut up) is that it is an all-encompassing meal with all the vegetables in one dish (no worries about getting different pots of vegetables all cooked at the same time and a real bonus of only having one pot to wash). It really needs nothing more than a slice of warm Irish Soda Bread, fresh from the oven and slathered with butter and perhaps some homemade mustard pickles on the side. I like to slow-cook this stew in the oven at 325ºF for a couple of hours as opposed to cooking it on the cooktop. I find oven-cooking allows the flavours to slowly blend and the stew to become nice and thick. Recipe follows at end of this blog posting. Irish Soda Bread is a quick bread in which baking soda, and often baking powder, are used as the leavening agents as opposed to yeast. 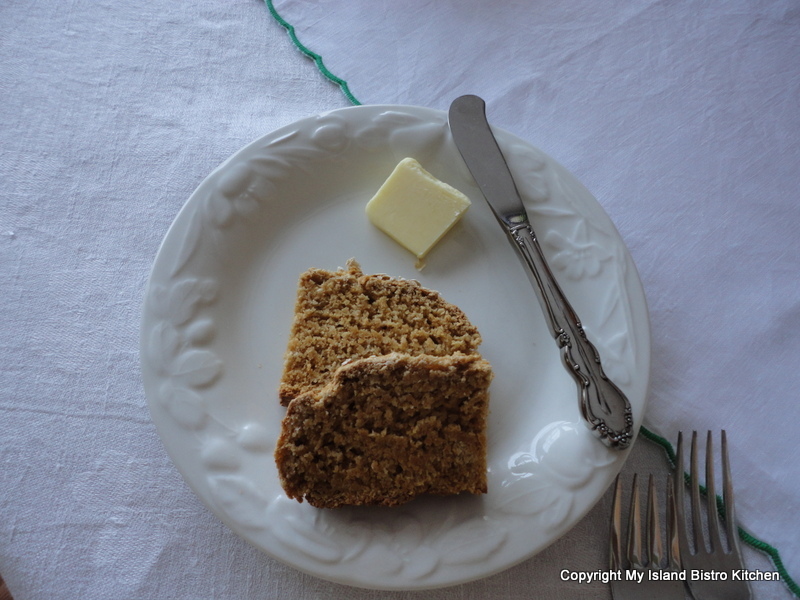 My research revealed that ingredients for a basic Irish Soda Bread would include flour (often both all-purpose and whole wheat), baking soda, baking powder, salt, buttermilk, and molasses. More elaborate breads might include raisins, currants, or nuts. I also learned that it was not uncommon for the soda bread to be cooked on a griddle although I am not sure how the bread would have gotten baked all the way through without first getting burned on the bottom! 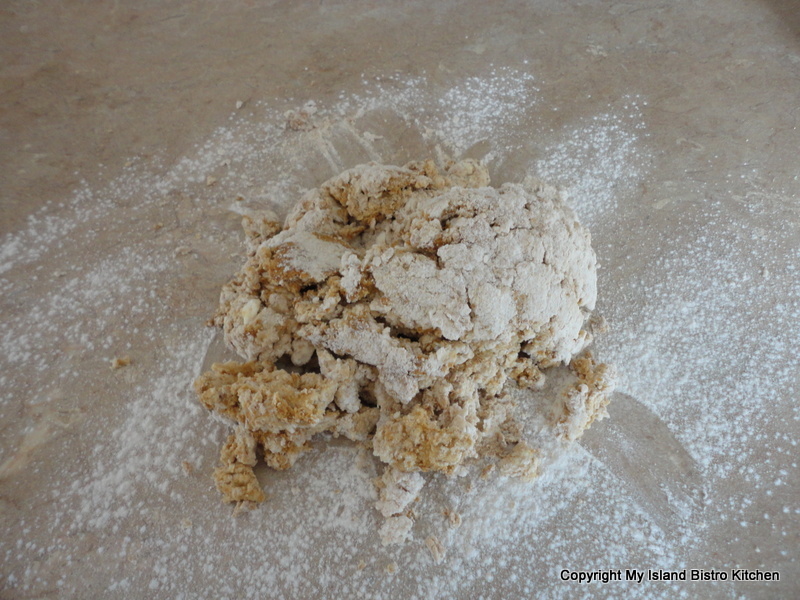 Soda bread dough is not kneaded like yeast breads and, in fact, it is recommended that the dough not be handled any more than is necessary for the dough to stick together. 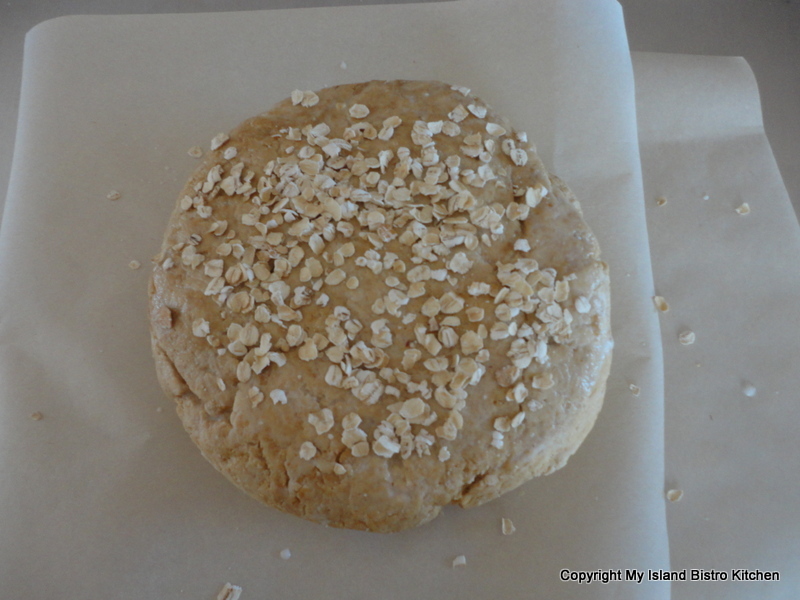 In this respect, it is somewhat like tea biscuit dough except that it is a heavier, denser texture. Some recipes suggest that Irish Soda Bread should be baked in a pan or casserole dish for a softer crust or, for a more crispy hide, baked on a parchment-lined baking sheet which is how I baked mine. 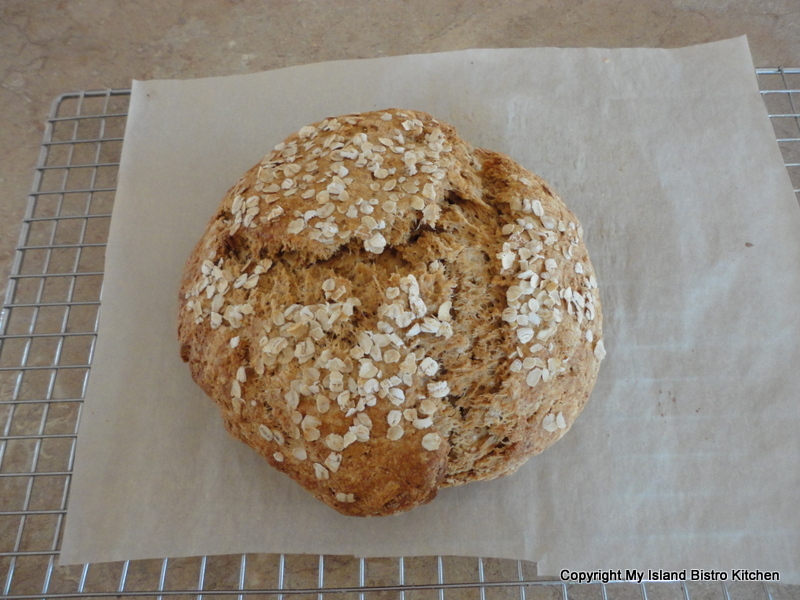 The Irish Soda Bread recipe I used comes from Tea Time Magazine. I found the bread was a good accompaniment for the Irish Stew but it is a dense, heavy bread and one that is probably best eaten fresh, warm from the oven, and on the day it is made. 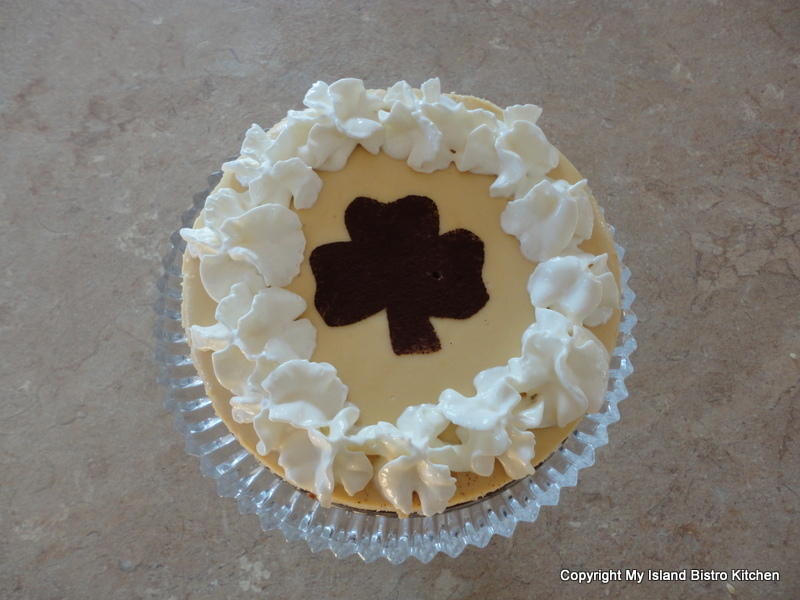 I figured if I was going Irish on this St. Patrick’s Day, I might as well go all out and make a cheesecake that had Irish Cream Liquor in it. I have often relied on recipes from Company’s Coming Cookbooks because I find them quite reliable, not containing ingredients I either wouldn’t have in my pantry or be able to readily source locally, and the directions are presented in a clear, easy-to-understand format. That’s why I turned to Company’s Coming for the recipe for the Irish Cream Cheesecake. I didn’t want a large cheesecake so I halved the recipe and used a 7” springform pan. I could not have been more pleased with the result. 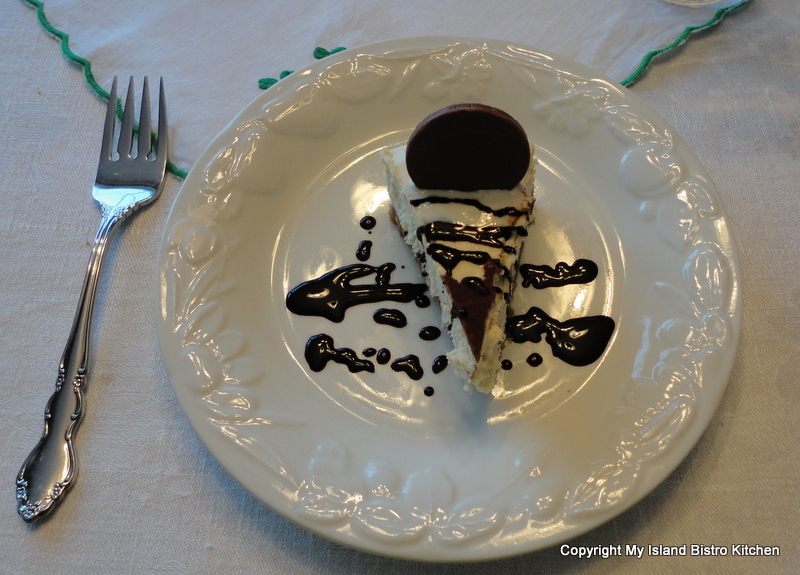 The cheesecake had a lovely smooth texture, not over-powered by the Irish Cream Liquor but yet with a pleasing taste. I served it simply with a dob of whipped cream, a drizzle of rich chocolate syrup, and a chocolate. A superb and fitting finish to my St. Patrick’s Day meal! Brown meat in 1 - 1 1/2 tbsp olive oil. Place vegetables and meat in roaster. In large bowl, combine sugar, herbs, garlic, tomato paste, beef consommé, Worcestershire Sauce, red wine, Guinness, and water. Whisk in flour until smooth. Pour over vegetables in roaster. With large spoon, stir mixture to combine. Add bayleaf. Cover roaster and place in pre-heated 325F oven. Cook for approximately 2 hours or until vegetables are fork-tender when tested. Serve with Irish Soda Bread, rolls, or French Bread.